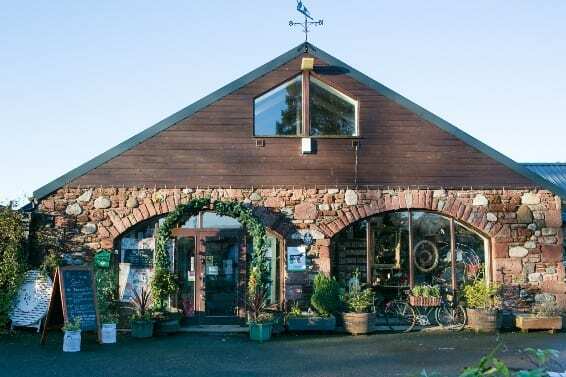 Your first stop for today is the fabulous Camera Obscura, a unique attraction and one of only four in Scotland. 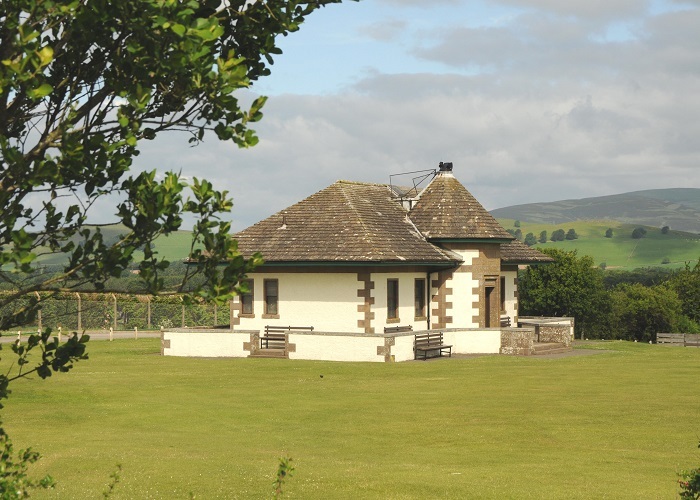 Housed in a cricket pavilion which was gifted to the town by author JM Barrie who was raised in Kirriemuir, the camera obscura uses historic technology to provide outstanding views of the surrounding countryside. You can also hire a kite from here to fly outside the pavilion afterwards. 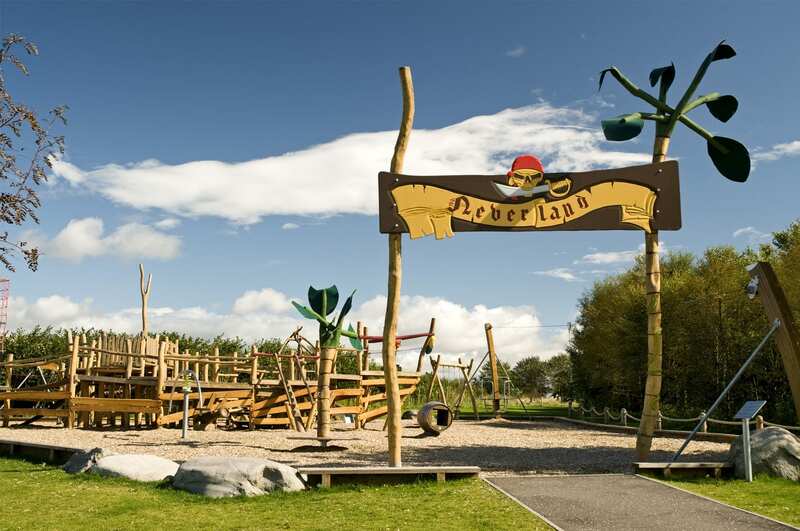 Right next to Camera Obscura is the delightful Peter Pan themed Neverland play park. Lots of fun for little ones (and big kids too)! There are climbing frames, a wooden pirate ship and a zip wire too. There’s also some woodland here if you fancy a walk before lunch – you can take a picnic, or head into the town centre and take your pick of the cafes there. 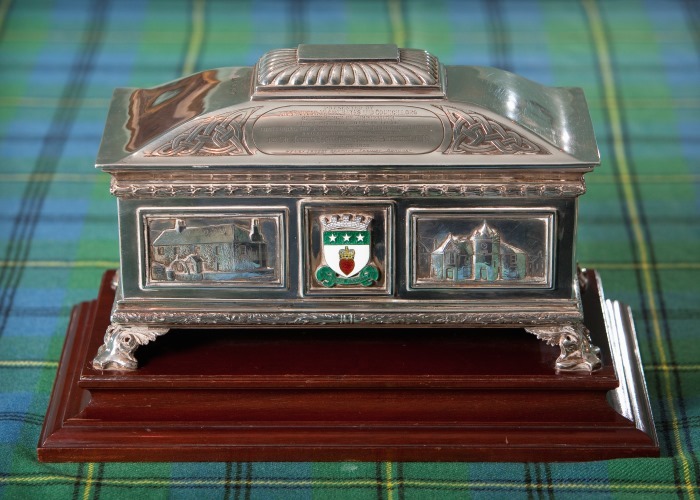 Built as the town’s jail and courthouse, Gateway to the Glens has been a museum since 2001. 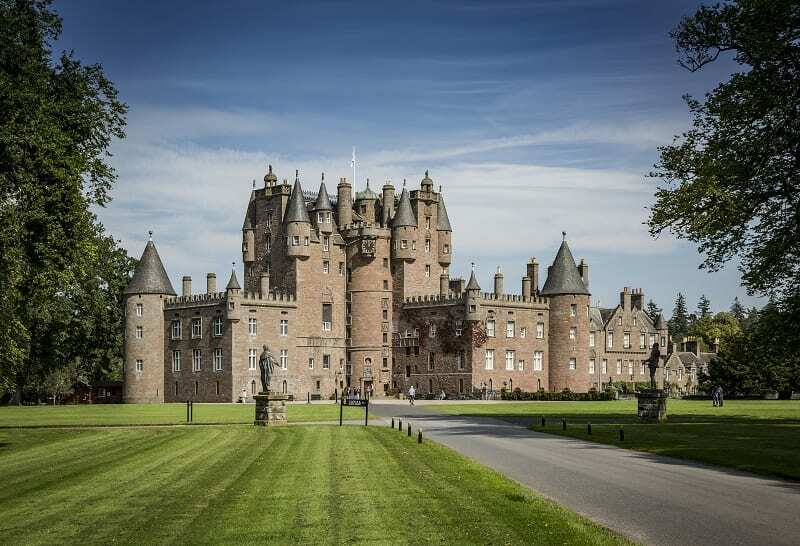 Discover the story of Kirriemuir through the exhibits and displays here plus find out about the personalities of the town including Sir JM Barrie, author of Peter Pan, and Bon Scott, lead singer of band AC/DC. Outside the museum you can see a statue of Peter Pan, and a short walk down the hill you’ll find a statue of Bon Scott. Perfect for a selfie! 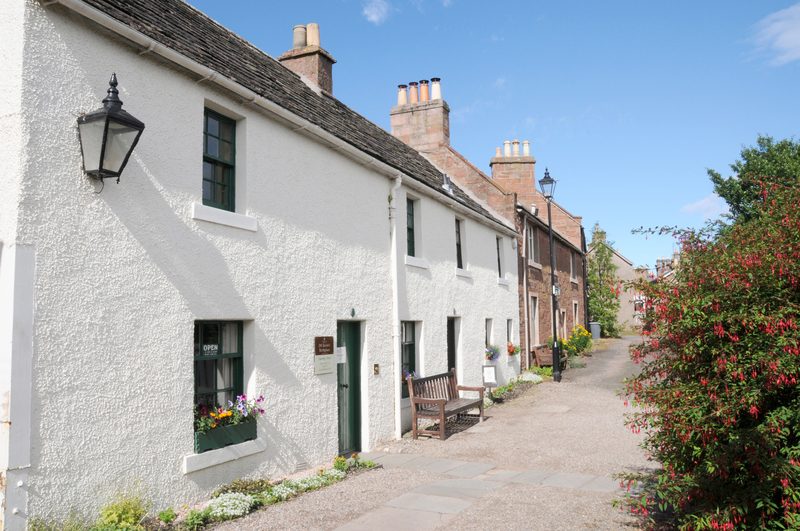 If you’d like to find out more about JM Barrie you can visit his birthplace, a short walk away from the museum. The cottage in which he grew up is set out as it would have been when he lived there. 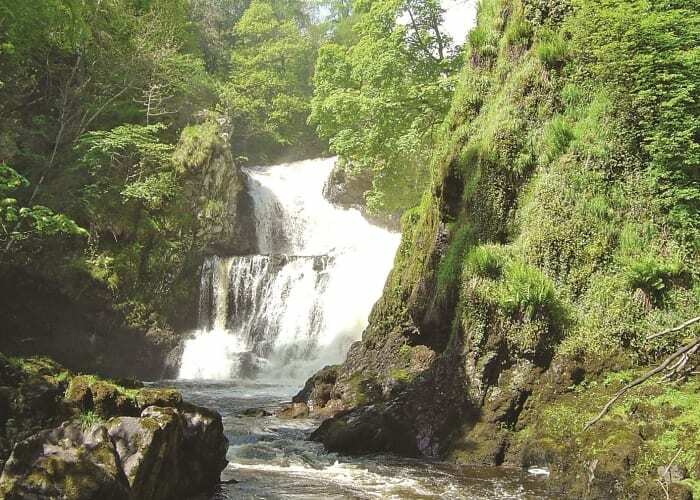 Last stop of the day, and well worth saving till last, is Reekie Linn – a spectacular waterfall at Glen Isla. The waterfall is actually a combination of two separate falls. When in spate, the power of the water sends up a fine mist which gives the waterfall its name (reekie meaning smoky or misty, and linn meaning a deep or dark pool). 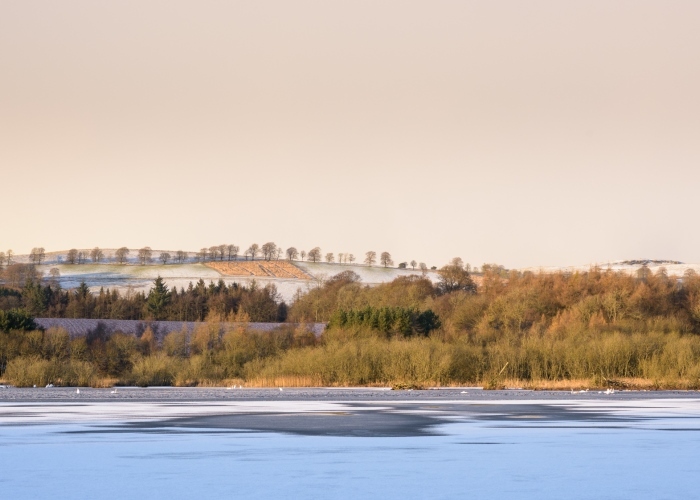 Visit Glen Isla in spring or summer and you might even spot an osprey!